David Newton Hodgens is the son of James Madison Hodgens and Margaret Elizabeth Farr of Greenville Co, South Carolina. David, along with his father, and grandfather, John B Hodgens, moved to Alabama from South Carolina between 1840 and 1850. While at least two of David’s brothers had already settled into families of their own and remained behind in Greenville County, South Carolina, another four of his brothers and sisters made the move to Alabama and settled in Bibb and Shelby counties. 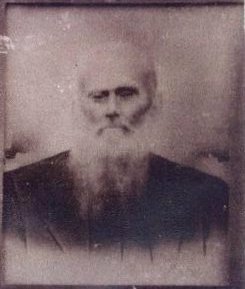 David was accepted for membership in the the Cahaba Valley Church of Christ (Baptist) the “fifth Sabbath in September of 1850“. He met, and later married Mary Florence Miles, daughter of Tillman Lee Miles of Bibb Co, Alabama. David and Mary were married on the 5th of September 1859. He and Mary had three little girls before the “War Between the States” and after his return from Union POW camps they had 7 more children. He was indeed a CSA Veteran – enlisted as Private, Company C, 10th Ala Inf. near Montevallo, Alabama on the 10th March 1862. His enlistment bonus was $50.00. His military service included several battles, being wounded and furloughed for several months to recuperate from those wounds, and then returning to service, being captured and, hardest of all, surviving Union POW camps. as well as a pay voucher from about the time he was wounded and furloughed for recuperation. On the 6th of May 1864 he is captured in the midst of the battle and confusion that would later become known as “The Battle of the Wilderness”. 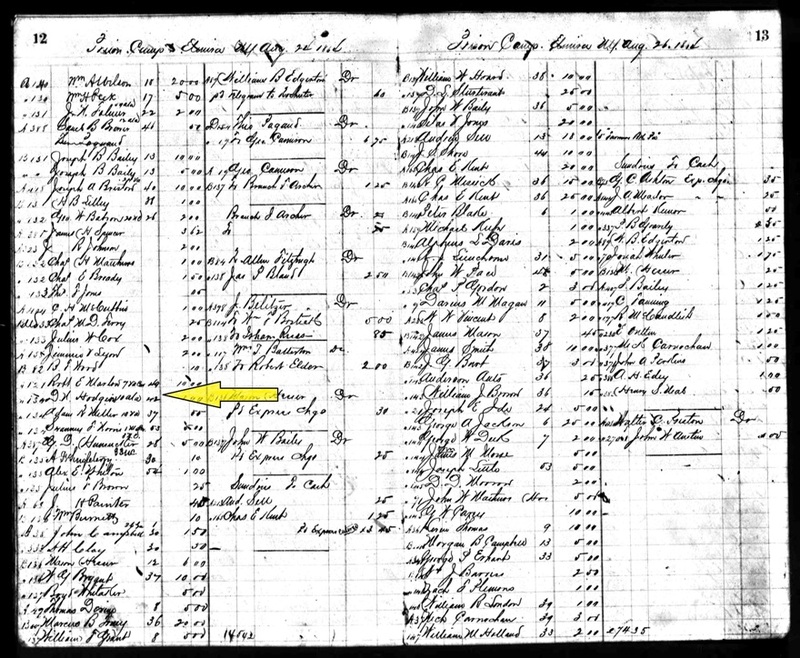 On the 15th of August 1864 he is shown on the rolls of Pt. Lookout Prison Camp, Maryland. 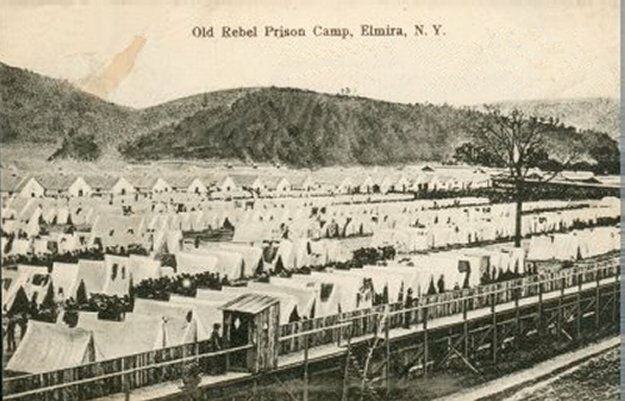 The document states that he is being transferred to Elmira Prison Camp, New York. He was listed as assigned to the “10th Ala, Company C” and shown as captured “near Spottsylvania“. Confederate prisoners of war were routinely transported from the prison at Point Lookout, Maryland by rail to Elmira. So it was with David. …the recollection of the quantity and quality of the food doled out at the model humanitarian at Elmira in the years 1864-5… here’s the ration: The strong sustained life on four ounces of sour light bread and three ounces of salt beef or pork for breakfast; for dinner, the same amount of bread was allowed, and, in lieu of the meat, a compound called soup, but in reality nothing more than hot salty water, in which bags of peas or beans had been boiled, but which were carefully removed and kept for other uses than to make animal heat for cold, starving prisoners of war. This saltwater diet will account for the large number of cases of scurvy and dysentery, which carried off, so many. A great number of the men were in rags, and but a small quantity of clothing was issued by the United States Government. Of that received from home and friends, the amount was restricted, and only obtainable on a permit approved at headquarters. When the mercury got down to 35 degrees below zero in the winter of 1864-5, I saw numbers of my comrades with frostbitten hands, feet, ears and faces. Of these prisoners approximately 3,000 died. For the most part the soldier’s physical condition on arrival at Elmira was poor. The prison records show that prisoners typically died from Typhoid Fever, Chronic Diarrhea and Pneumonia. While the records do not specifically show other causes, written recollections of soldiers, both of the North and the South, do show that the cause of death was often at least partly due to malnutrition. It is evident that military officials, many with a strong hatred of the South, had some part in preventing adequate supplies of food being furnished to the prisoners. This prison was located in a fertile, rich, agricultural part of New York State where food shortages just did not exist. The same reasons were true for the shortages of medical treatment of the prisoners. While some of the local military officials protested the lack of supplies, the reality is there was not enough supplies requisitioned to provide proper medical care. The most tragic sight was that of the small pox hospital which mainly consisted of several remote tents where the sick were moved and literally forgotten. It was not uncommon to see a stiff frozen body lying outside a tent waiting to be loaded on the buckboard for transportation to the cemetery. On David’s release from Elmira POW Camp in New York, he started home with other troops, but had to ride in a wagon because the bullet wound in his leg hadn’t yet healed. The wound became worse and he was eventually taken into a home by a Mennonite family and nursed back to health. Their names were June and Emmit. He vowed he would name his next child for that family. That son, born 21 April 1866, was named June Emmit Hodgens. EARLY HISTORY OF PLEASANT VALLEY FREEWILL BAPTIST CHURCH After a full night of prayer, Pleasant Valley Church and Cemetery was founded in 1876, by the Reverend Andrew John Davis, Sr, and the Reverend David Newton Hodgens. Rev. David Newton Hodgens is named in several Alabama Baptist Histories as a pioneer Baptist Minister and the minutes of early churches mention his work in forming the Cahaba Valley Baptist District. What’s on my Kindle today? Very interesting. I enjoy genealogy, too. A family member of mine planted the flag on top on Lookout Mountain on the Georgia, Tennessee border during the Civil War. I just read a great book of Shaara’s (the son, not the father) on the Civil War.